Big Weekend and schedule changes coming up next week! Stay in the know! September 4th, we’re holding ONE CLASS ONLY at 9 AM. See you there! Beginning Tuesday September 5th, ALL early morning classes will start at 5:15 AM (rather than 5:30 AM). Why the change? It’s based on results from our survey earlier this year. A number of folks have been needing to step out early for work and family obligations, so we’re adjusting to help make it work for everyone! No changes to any other class times. More bang for your buck! More class times are coming! Also beginning NEXT WEEK: we’re adding the following classes / times. We’re looking at adding Corps Fitness classes every day of the week as well, so stay tuned. As with all new classes, we will closely monitor the attendance, and keep the classes as long as warranted by participation. So if you like it, be there! 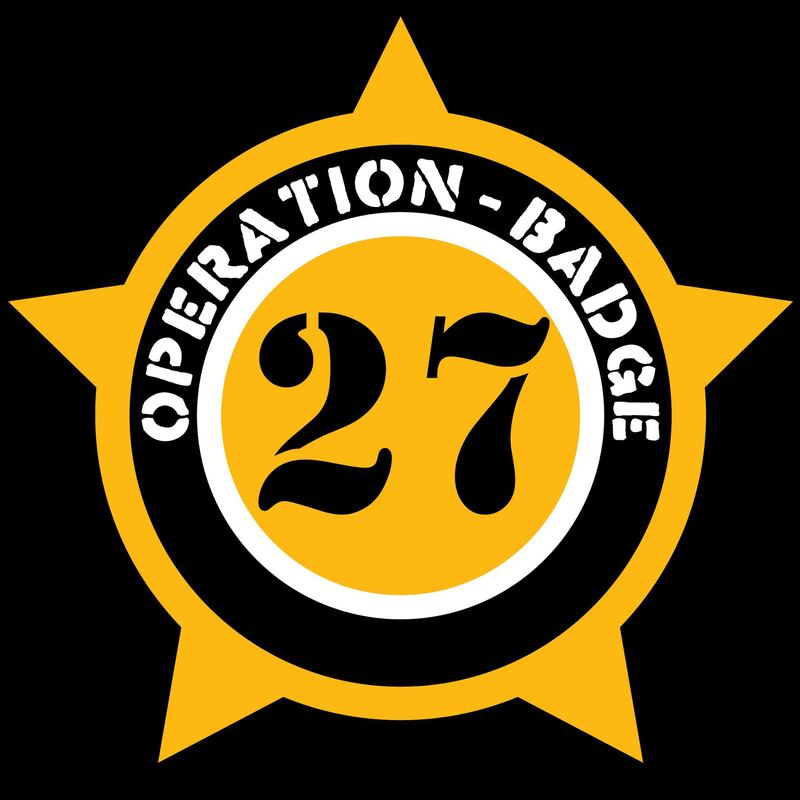 October 28th we’ll hold the second annual Badge 27 Call to Action challenge! MORE challenges, SHORTER course. Get your team of 4 together NOW. Registration officially opens in early September. Want to participate but your friends are chickening out? Email Melissa and she’ll do her best to get you on a team! Finish up the AOIB and then head over to refuel, benefiting Landon Weaver’s Family! Happy what would have been 34th birthday, Pags! Saturday’s event was so much more than who came in first, second and third place. It was an event to showcase our local first responders and to give a shout out to them for all they do as a part of their jobs. For all you do, we thank you! 4 person teams starting off at Corps Fitness with a cumulative 100 pull-ups, 200 pushups & 300 squats there out the door to cover 5 1/2 miles ending at the Law Enforcement Memorial at Grings Mill with mental, physical & tactical challenges of a total of 13! Emergency personnel deal with unanticipated challenges daily so these challenges were meant to task competitors to feel the pressure along with the physical to accomplish the tasks at hand. So many thank you’s are due to so many. To our business sponsors (see facebook links below): you ROCK, and we are so very grateful! To our many volunteers: you are some FANTASTIC people who know how to get the job done! And to our competitors: what would we do without YOU???? You were motivating, inspiring, hard-working and gracious. And another HUGE thank you goes out to Melissa, Sandy, Aimee, Chris, and everyone who organized this outstanding event!! Finishing times are posted at the bottom of this post, for those who are curious. If any one has pictures, feel free to share. Many are available on the event facebook page, and we’ll be posting the link to view pictures taken by our photographer, Jason Hugg, of Hugg Media Group, soon! Did you know? Badge 27 CtA Deadline is Approaching! A HUGE thank you to All About Women and Dr. Chris DeAngelis for their sponsorship of our event! They are an official Challenge Sponsor, and you will see their challenge along the course! We greatly appreciate their support of our First Responders and for their tax-deductible donation that allows us to give back as much as possible to the Kyle D. Pagerly Memorial Fund 501c3! – Corps Fitness will be CLOSED on Sunday September 18th for the IM ABLE Duathlon & 5k! If you’re interested in participating or volunteering, learn more and register on site at the Wyomissing HS Saturday 2-4 PM or Sunday 6-7:30 AM! Volunteers should also register using these links; registration will be open online through the 14th and available on race day. 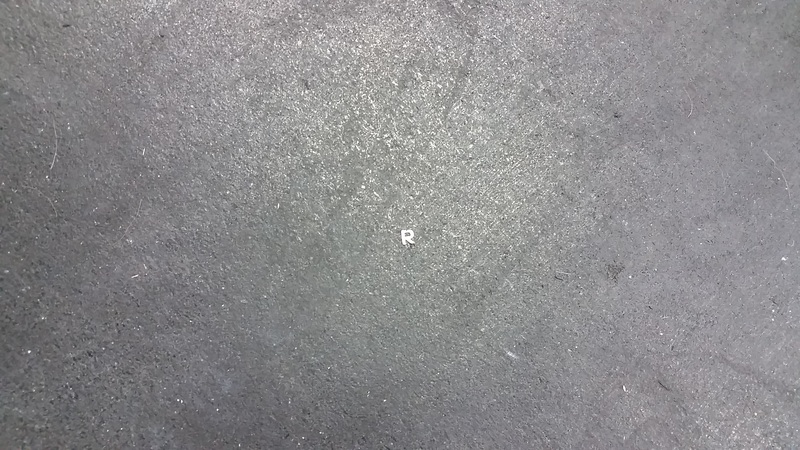 T-shirts are not guaranteed at this point, but limited extras may be available. – There will be NO INTRO class on September 24th. The next free intro will be Saturday, October 1 at 9:45 AM. – Introductory self defense class begins October 2nd at 3 PM! Check out the previous blog post for more information! – Take a minute to fill out the 8-question survey that just hit your mail box this week – this will help us adjust our schedule and offerings to best suit our CFers. Your responses are important to us! This week has seen the largest noon crowds yet in our Monday / Wednesday / Friday “Executive Express” NOON class! Enjoy some Vitamin D with your workout as the window of daylight narrows this fall. If you have to leave after 45 minutes, we’re good with that! If you have an hour, we can do that, too! – Check out the earlier post on the March for the Fallen, mark your calendars, and register online if you’re interested! We’re looking to have a solid turnout of CFers for this challenging event. September 28th, 0600 start or check out the other offerings during the day. – Registration is OPEN for the Badge 27 Call to Action Challenge October 22nd! Get your team together and register today!! Not participating but want to see the action? Volunteers are needed! Additionally, if you know a fallen first responder that you would like honored during the Challenge, please send to melissa@corpsfitness.net, that person’s name, end of watch, and department for which they served. Special dedication signs for these men and women will be placed along the challenge trail for us all to remember them and their ultimate sacrifice. – The 2016 Kyle Pagerly 5k is slated for October 9th in Shillington. Check out the registration page and get on board today! 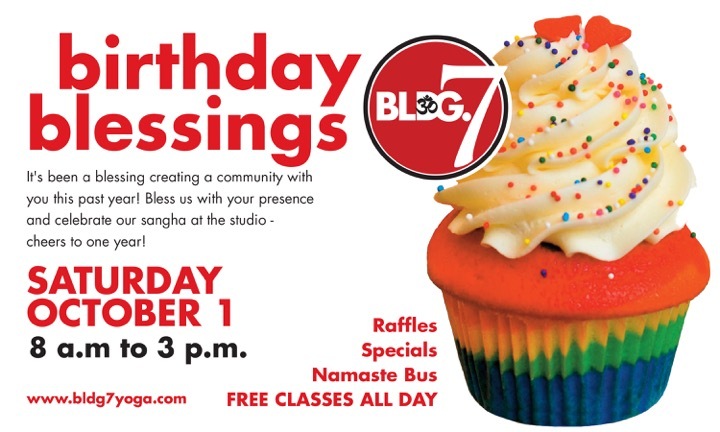 Bldg 7 Yoga is celebrating their first birthday on October 1st! Stop by any time between 8-3 to say Happy Birthday and celebrate! – Know any teachers or nurses who want to join the CF family? Check out the top of CF’s fees page for more information! Special rates expire November 5th! – NO free intro on Saturday 9/10 due to the Reading 120 bike race. Good luck to all the riders and volunteers!! 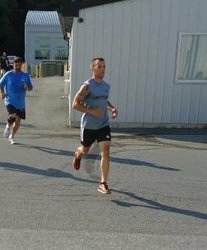 – Corps Fitness will be CLOSED on Sunday September 18th for the IM ABLE Duathlon & 5k! If you’re interested in participating or volunteering, learn more and register today! Volunteers should also register using these links; registration will be open online through the 14th and available on race day. T-shirts are not guaranteed at this point, but limited extras may be available. Based on the enthusiasm we saw during our 1-off self defense class in August, we’re adding an introductory self defense class to the schedule! Check out last week’s blog post for more information! If you already attended the first intro course, a refresher is not a bad idea. Practice of what you learned the first time will help make the defensive responses more instinctual and innate. Additionally, we are about to announce a more detailed defensive strategies 6 week course with a heavy focus on Brazilian Jiu-Jitsu starting in October. Stay tuned! – Badge 27 Call to Action Challenge October 22nd! Get your team together and register today!! 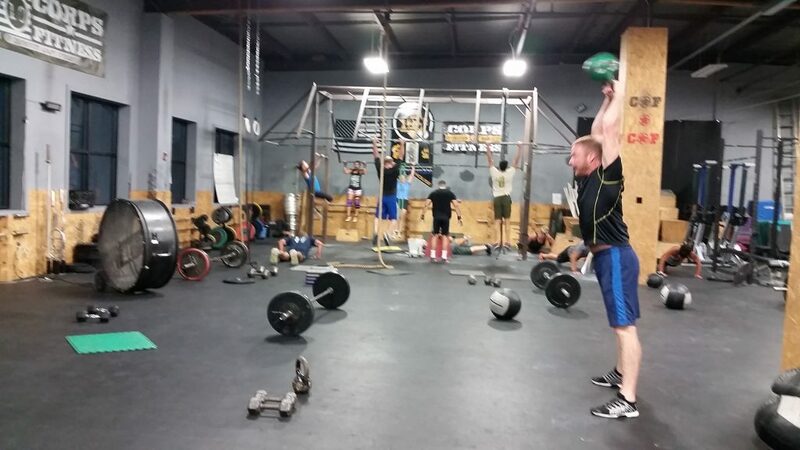 Next Free Intro will be next WEDNESDAY 9/15 at 6:45PM. Brian being different but with perfect KB form! See earlier post for prep information and a little more background on the significance of Hero Week. Plan to set aside the first part of class to hear the honoree’s bio and set aside room in your mind to remember the significance of his / her contribution to the world we live in today. Do something special! Hero Week begins this Sunday with the 8:30AM class. Honor Roll and t-shirt design will be posted soon. Classes all week are as normally scheduled, with the exception of our Finale on Saturday 6/25. Class that day will be at 9:00AM (ONE CLASS ONLY), and our honoree, 97 year old Gust “Gus” Kraras will be with us to share his story. We will additionally have a “social” after class that day. – Unlimited Memberships, the cost of Hero Week is included in your membership. You may purchase a HW t-shirt for $25. Please sign up and pay at front desk. – Punchcard Members: $125 for the whole week (this includes the t-shirt). Again, please pay at the front desk and select t-shirt size. First Session of our Kids camp begins this Monday 6/20 from 10:45 to Noon each day. There’s still time to sign your child up for this motivating week, but please do so as soon as possible so we may get a head count and order t-shirts. – Know any teachers or nurses who want to join the CF family? Check out the top of CF’s fees page for more information! – This Sunday 6/19: Fathers’ Day – All dads work out for FREE! NO Free Intro on 6/25 due to Hero Week. Stay tuned to the blog and website for our next intro class date.